March 27th in Wordpress Plugins by Wordpress Jedi . Many social networking websites and communities allow their members to flag comments and published content. Would you like to add such functionality to your website? 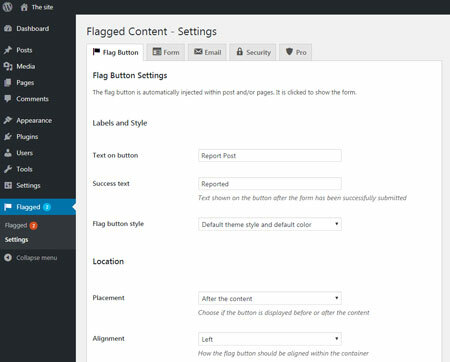 Flagged Content for WordPress is just what you need. It allows your visitors to flag posts and pages if there are issues. When your visitors flag a post or page, they can provide you with further information. You can customize the message, fields, and other info shown on the appropriate form. Webmasters will be able to see all flagged contents on a single page to take proper action faster. This plugin is available as a free download. More info is available here.